Bollywood actress Aahana Kumra, who would soon be gracing the silver screen with the much-anticipated film, The Accidental Prime Minister, believes that people are not giving the film a chance. The Lipstick Under My Burkha fame actress is essaying the role of Priyanka Gandhi on the film based on the book of the same name authored by Sanjay Baru. The Accidental Prime Minister traces the journey of Dr Manmohan Singh, who served the nation as Prime Minister from 2004 to 2014. The project courted controversies immediately after the release of its trailer. “In a country which is democratic where you have the option to not watch the film by not going to the theatre. Watch the film and then have an opinion, nobody is stopping you,” she added. Aahana Kumra as Priyanka Gandhi has been praised for her close resemblance to the politician. Although the actress hasn’t had an encounter with Priyanka, she definitely wishes to meet her. “She (Priyanka Gandhi) is a really fascinating person. She is somebody I think the whole country likes. I have seen her interviews and she is such a mesmerizing person, she is so enchanting to look at. She is somebody who really knows what she is talking and very well aware and well read. These are not women you meet on a day to day basis,” the actress said. The 33-year-old actress, who has worked in numerous web series besides Hindi films, was discovered by filmmaker Hansal Mehta following her performance in Inside Edge. “I have done a show called Inside Edge for Amazon prime and I was playing a very small part, it was literally like five scenes. I didn’t think anybody would take notice of the part. Hansal (Mehta) sir saw the show and tweeted about my part,” Kumra revealed. “The next thing I know was, I got a call from the casting team of The Accidental Prime Minister and they said ‘why don’t you come in for a test for the part of Priyanka Gandhi?’. I basically just saw a couple of interviews of her and one particular interview that the saw was the one they did in the audition. When I saw myself in the get up I was very convinced that I would be able to play the part,” she continued. 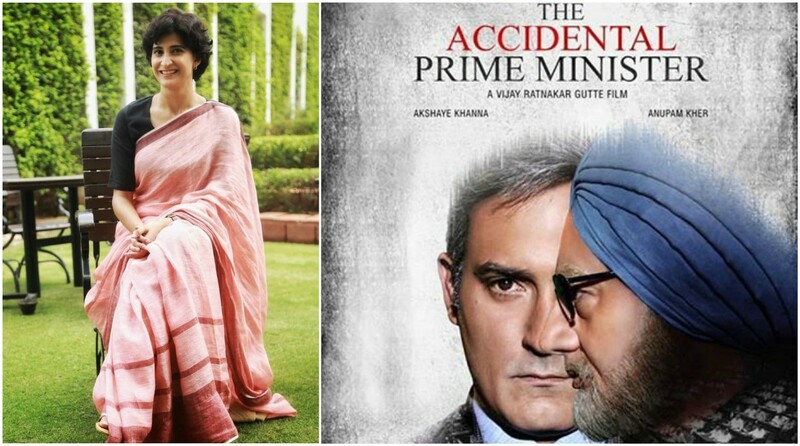 The Accidental Prime Minister also stars Akshaye Khanna, who plays the role of Sanjaya Baru. Divya Seth plays Gursharan Kaur and Suzanne Bernert plays Sonia Gandhi, while Arjun Mathur will be seen as Rahul Gandhi. Directed by Vijay Ratnakar Gutte, the film is slated to release on 11 January 2019.